“Today, few threats are more urgent than the threat posed by violent extremism. And with the emergence of groups like ISIL, and the knowledge that some Americans are attempting to travel to countries like Syria and Iraq to take part in ongoing conflicts, the Justice Department is responding appropriately.” — Eric Holder, U.S. Attorney General, Sept. 15, 2014. EDITOR’S NOTE: This is the full statement of the U.S. Department of Justice on an initiative to combat violent extremism in an era in which terrorists effectively are operating global mass-marketing campaigns. The terrorist group ISIS, which has taken over lands in Iraq and Syria, recently has engaged in beheadings of two American journalists and a British aid worker. 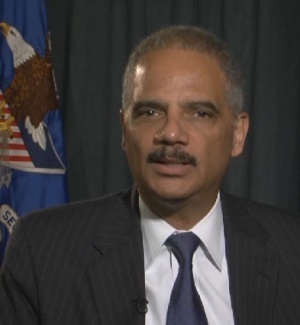 A link to a video of remarks by U.S. Attorney General Eric Holder appears at the bottom of this post. ISIS also is known as ISIL. Eric Holder. From Sept. 15, 2014, Justice Department video.